Brickhampton Golf Complex prides itself on its approachability. It's found the perfect balance of fun v professionalism, and we wanted this to come across in the brochure. 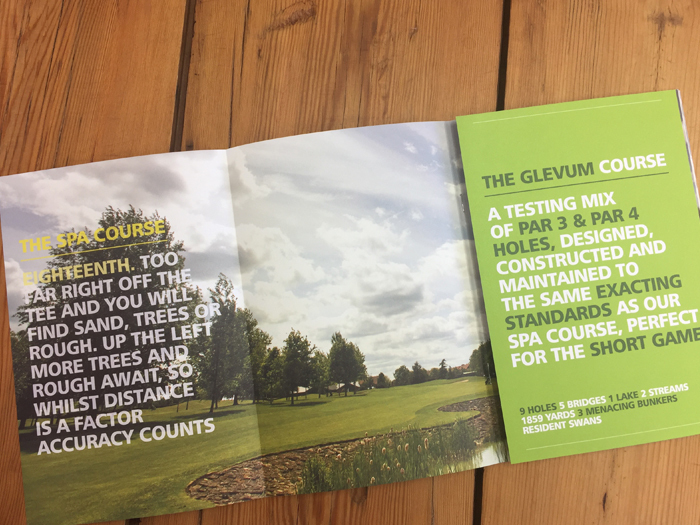 Printed full colour utilising images from a summer photoshoot its bright and inviting and captures the very essence of the course, simply outlining the facilities and professional services available.